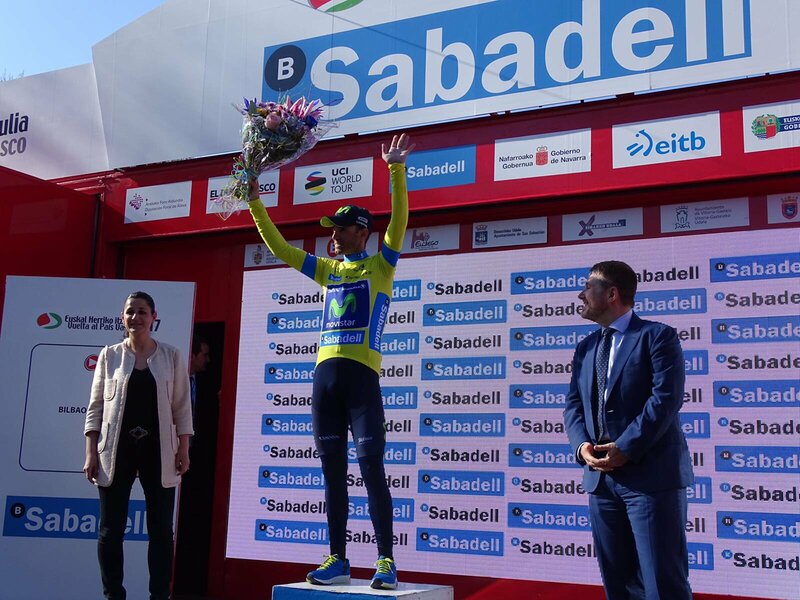 Alejandro Valverde (Movistar) is the new leader of the Vuelta al Pais Vasco, after claiming today’s stage 5 ahead of Romain Bardet and Rigoberto Uran. 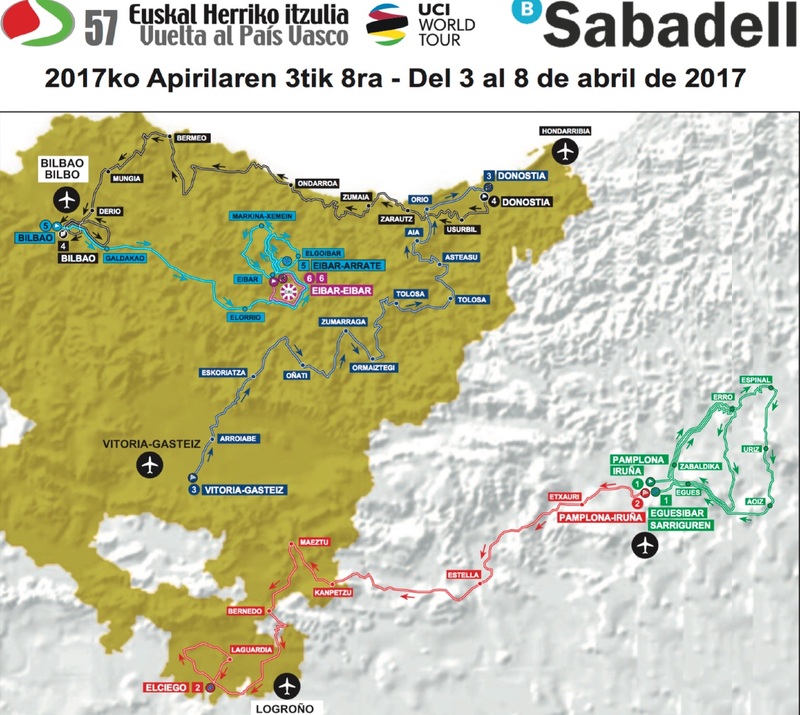 Today’s Queen Stage saw riders face six challenging climbs, culminating with the final summit finish of the Puerto de Usartza. 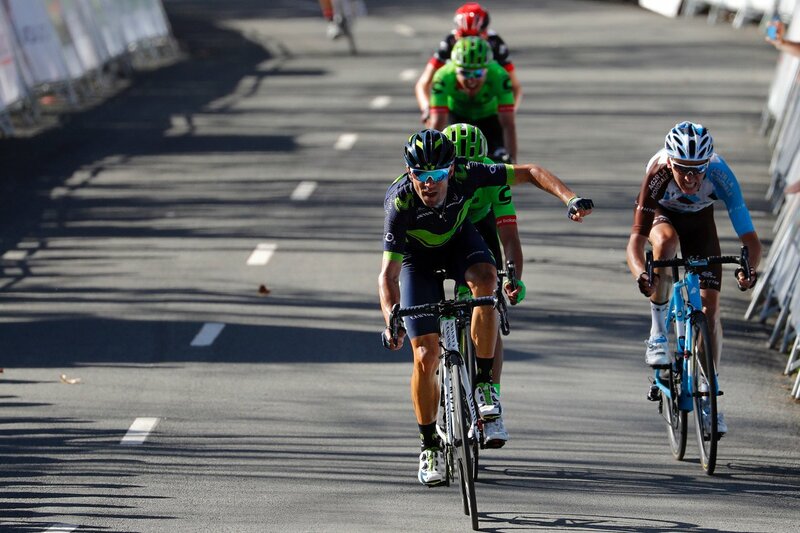 Valverde managed to close down a late attack from Michael Woods (Cannondale-Drapac) and Louis Meintjes (UAE Team Emirates) near the summit of the climb, bringing along Bardet and Rigoberto Uran (Cannondale-Drapac) with him. Meanwhile, Alberto Contador (Trek-Segafredo) came across the line three seconds behind Woods and Meintjes, with Ion Izaguirre (Bahrain-Merida), Sergio Henao (Sky) and Simon Yates (Orica-Scott) a further 12 seconds later. Overnight race leader David De La Cruz (Quick-Step Floors) lost contact on the steepest part of the final climb, but rallied to keep himself inside the top 10 overall, coming across the line 22 seconds behind Valverde. Valverde now leads the race with one stage remaining, but on the same time with Bardet and Uran. 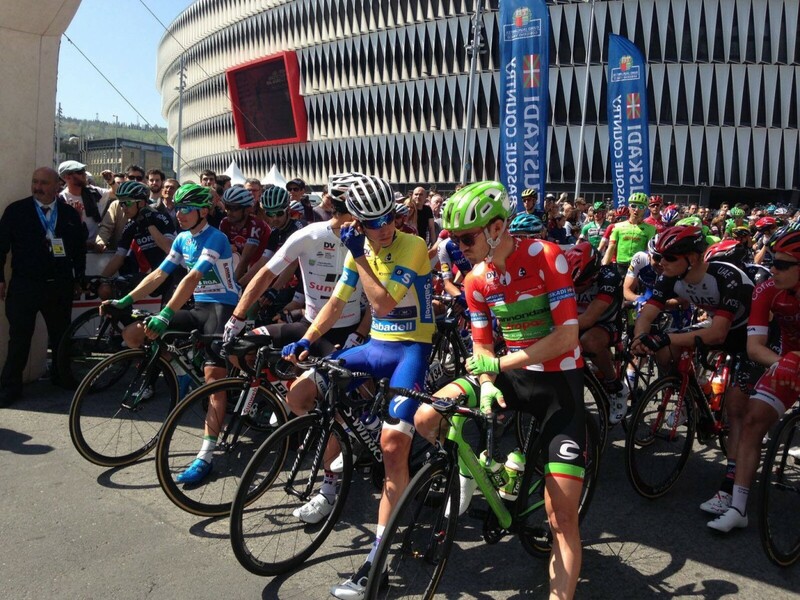 A large group of 21 riders succeeded in riding clear from the outset of today’s stage. However, that group continued to breakdown rapidly during the first 40 kilometers, to where only Laurens Ten Dam of Sunweb and Dimension Data’s Omar Fraile were left out front. But, it was only a short time before the duo was reined in by the peloton as well. It wasn’t until the final climb that things became animated in the peloton, when Woods decided to attack – followed by Contador, Valverde and Henao. Several more riders would later join the lead group, just as Woods decided to attack once more – immediately opening up a significant gap with only Meintjes able to follow. However, Valverde, Contador, Romain Bardet, Uran and Samuel Sanchez eventually regained contact with Woods and Meintjes. From there, Valverde timed his sprint to perfection during the closing meters, to easily beat Bardet and Uran.